The Best Occult Youtube Channels from thousands of top Occult Youtube Channels in our index using search and social metrics. Data will be refreshed once a week. About Youtuber Face Like The Sun produces content for understanding the world through the lens of Bible Prophecy. Topics that we discuss include Bible Prophecy, the Supernatural, Paranormal, Occult, Esoteric, Technological progress, Trans-humanism, the New Age, the New World Order, the Scientific Dictatorship, Angels, Demons, Ancient Mythologies and much more! About Youtuber I'm a professional Tarot/Lenormand reader, occult studies researcher. Find Monthly Tarot readings, Astrology, Tarot Cards, Deck/book Reviews, Witchcraft, Occult knowledge. About Youtuber Taliesin McKnight is a teacher of occultism. The subjects covered in his videos include lessons on tarot, Qabalah, Hoodoo, alchemy, occult symbolism and philosophy, and much more! His life-long obsession with understanding the occult has lead him to share his knowledge and research. He currently resides in Dallas, Texas. About Youtuber Keep up with latest videos from American Mysteries & Conspiracies. About Youtuber Revealing & teaching occult science mysteries & the arcane arts. About Youtuber Keep up with the latest videos from Open Source Occult TV. About Youtuber Keep up with the latest videos from Styxhexenhammer 666. About Youtuber Former Intel Analyst, Political Commentator, Occult Philosopher. About Youtuber I seek truth and combine research, logic, intuition & humor to "synthesize" information for you in my own down-to-earth way. The world is starting to wake up, and I am going to accelerate it. The truth is found with an open mind - and the truth is literally stranger than fiction. About Youtuber Find out about S Rob: author and occultist: and accidental horror host of the film Horrormail, inventor of occult escapology, author of more books on the occult than anyone else in the English language. It's a great place to find out about the occult, the paranormal and about the books he's written and maybe watch the film Horrormail. About Youtuber Firsthand experience with “cults”, and bloodline / family of origin spiritual issues. About Youtuber This is the home of the original Illuminati Conspiritus series that started in 2009. Since late 2008 I stopped being a sheeple, and started researching the occult and the Illuminati conspiracy and I have been compiling the best info I have found in my research into these documentaries and short videos. I cover rare, occult subjects, subjects that are "taboo" even among many "truthers". About Youtuber Mark Passio is an independent researcher, public speaker, radio talk show host, conference organizer and freedom activist from Philadelphia, PA. Mark has undertaken the task of assembling vast amounts of research in the areas of metaphysics, occultism, spirituality, symbology and consciousness studies. About Youtuber Brother Panic is a metaphysical and occult teacher. Panic has been lecturing via internet radio for the last seven years. In this time, his goal was to help the people have access to their ancient science. About Youtuber Alternative Education highlighting hidden histories, NWO Conspiracy theories, End-Times Prophecy, UFOs, and Occult forces. I create content, presented without bias, and researched with due deference. About Youtuber Welcome to the Dazzling1 channel. Just a 23 year old studying biology and sociology. I write, research, and discuss: general conspiracies, the paranormal, biblical prophecy, and current events. Every Wednesday there's a new upload, and on Mondays there's a weekly live stream at 7 p.m. central time. About Youtuber Michael W. Ford is a leading Luciferian visionary and Left Hand Path Adept who has practiced Magick for over 25 years. Luciferianism as a philosophy with rational application, balanced with initiation upon the path of Adversarial Magick. About Youtuber Youtube channel for researcher and writer William Ramsey, author of Prophet of Evil, Abomination and Children of the Beast. Please see my other channel Occult Investigations. About Youtuber Kill one man, you are a murderer. Kill millions, you are a conqueror. Kill them all, you are a god. About Youtuber This channel is not suited to those whom espouse classic literal Christian or other, religious dogma. About Youtuber The esoteric, astrology, guitar & music. I'm planning on adding more to the channel sometime later this year, including a new podcast discussion...stay tuned. About Youtuber The Damned Podcast is a videocast with an audio element that is both live, and on demand for those that wish to find information on the path of esoteric discovery, transcending the false dichotomy of the RHP & LHP . Our main focus is the awakening of the soul out of the slumber of indoctrinated slavery that most of us have been subjected to throughout our lives. About Youtuber Keep up with the latest videos from Miss - Occult. About Youtuber Mystical gnosis and wisdom for all. We will explore the truth about nutrition, fasting, etymology, symbolism, psychology, flat earth realm, mysticism, occult, magic and so much more! About Youtuber Keep up with the latest videos from Occult Physics. About Youtuber Hello and Welcome to my humble Channel. I am Asbjörn Torvǫl, Occult Author, Public Speaker and Practicing Magician. My work is Magick, Spirituality and the Occult, and throughout my career I have explored several areas of practice such as Norse/Viking Magick, Hermeticism, Thelema, Ceremonial Magick, Chaos Magick, Kabbalah and also several areas of Science and Psychology. About Youtuber This is the official voice of Billy Brujo, renown sorcerer and holyman. Teaching all things #magick #occult #spiritual to soothe the soul of the student in need of refreshing occult infotainment. About Youtuber Authentic Chaos Magick: Journey into the world of the Occult. Not everyone in the Illuminati is evil, come on guys. About Youtuber It's a channel where I will do things and say things. Yep. Enjoy! About Youtuber I am a Sorcerer and I have been doing magick for many years. Working with invisible beings: Angels, Loas, Demons and many more. About Youtuber Occult of Personality podcast at explores the occult and esoteric with authors and experts in the field. About Youtuber Home of The Anti-Occult Cast Podcast & MORE! About Youtuber Occult Hunter, Researcher and Investigator of the Paranormal, the Unknown, and the Occult. About Youtuber Welcome to Logos of Ophiel, this channel is hosted by Vayu Tiger. The topics covered will be magick, occultism. occult book reviews, esoteric thoughts, ritual magick, deomonology, grimoires, OTO, Thelema, Hermetic Order of the Golden, Renaissance Magick, the paranormal, and Papyri Graecae Magicae. About Youtuber Paranormal Investigations - Investigations and surveys into sites which have Paranormal / Supernatural / Occult provenance. About Youtuber Occult Master is an educational division of Pandit.com that is owned and operated by Pandit Rahul Kaushal, a seasoned & eminent person in the field of occult. About Youtuber Concealed from the view of the moribund mass of humanity, hidden in the darkness of the gates of Hell, waiting to spread the evil sound of the extermination of life is the most powerful and misanthropic force. About Youtuber Keep up with the latest videos from Agostino Taumaturgo. About Youtuber Tarot Cards Readings & Consultations, Magic Potions, Pure & Organic Essential Oils and Occult studies. About Youtuber Welcome to my channel, here you'll find various videos about my spiritual and witchy life. Find Late Night Rant/Ramble, Late Night Occult, My Haunted Indiana, Various Random Videos. About Youtuber Keep up with the latest videos from Occult Violence. About Youtuber Life, the Universe, and Everything. Keep up with the latest videos from Jamel Jarvis. About Youtuber Keep up with the latest videos from the occult reviewer. About Youtuber Keep up with latest videos from The Gaming Occult. About Youtuber Keep up with the latest videos from Cosmic Occult. About Youtuber Next Level Occultism Is Here!! Are You Using The Power? The Most Powerful Occultism Ever Offered To The Public!! About Youtuber Spiritual and Occultist music from the deep dakrness! About Youtuber Keep up with the latest videos from Mythological Occult Metal. About Youtuber Keep up with the latest videos from Occult. About Youtuber Keep up with the latest videos from Gothix Occult MSP. About Youtuber Behind Occult Research hides a full-time paranormal investigator team. We prefer to remain anonymous, glory does not interest us, only information and facts. About Youtuber Welcome to the Abyss. About Youtuber Keep up with the latest videos from Bill & Lori Magick & Occult Tutorials. About Youtuber Keep up with the latest videos from The Occult Corner. About Youtuber Canale Creepypasta, Iscrivetevi!! About Youtuber We are your worst dream come true, like and subscribe for your horror Thrillz and Chillz. I'm your host the ghost with the most Dr. gravegoul and thank you for watching video occult. About Youtuber I focus on music, access the akashic zine, var. arts. About Youtuber My name is Kacy and this channel is mostly focused on metaphysical science including astrology, numerology, psychic abilities, magic, crystals, candles, spirits, herbal health, alternative health, and much more. About Youtuber On this channel you will find Occultism, hidden knowledge and Ancient wisdom to take you beyond consciousness. 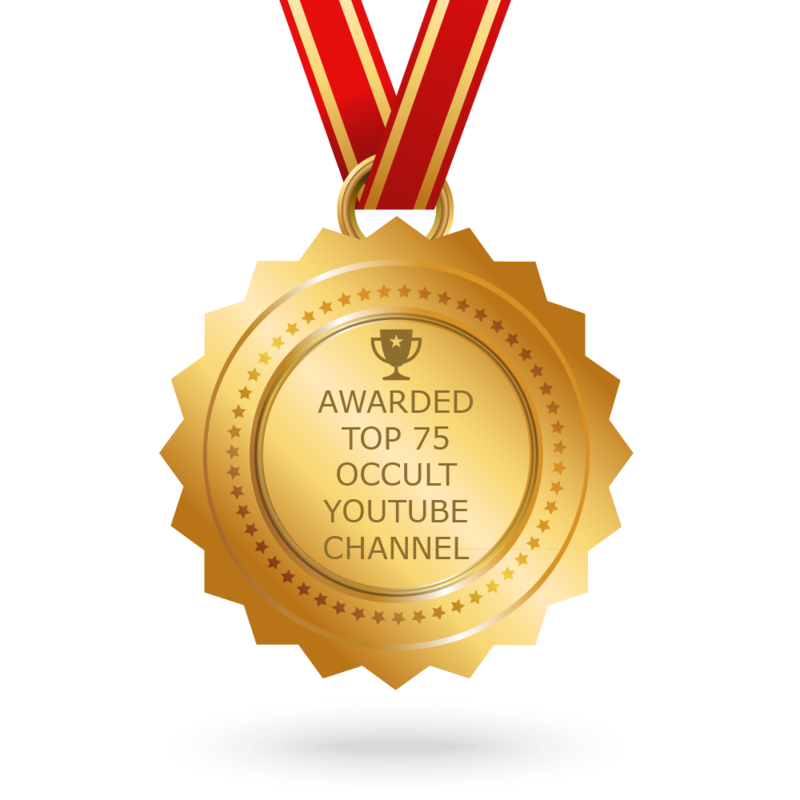 CONGRATULATIONS to every youtuber that has made this Top Occult Youtube Channels list! This is the most comprehensive list of best Occult Youtube Channels on the internet and I’m honoured to have you as part of this! I personally give you a high-five and want to thank you for your contribution to this world.